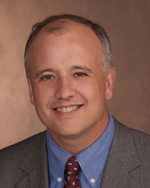 Mark N. Senak has over twenty years of experience litigating complex commercial and insurance disputes on behalf of both plaintiffs and defendants. Mr. Senak’s practice areas include commercial litigation, large-loss property subrogation, employment practices, casualty defense, and personal injury. Mr. Senak has extensive trial experience and has successfully argued a number of appellate court cases in both state and federal court. Mr. Senak has represented a broad spectrum of commercial, industrial, and governmental entities and their insurers including: McDonald’s Corporation, Caterpillar, Inc., Wm. Wrigley Jr. Company, Best Buy Company, Inc., Illinois Power Company, W.R. Grace & Company, the City of Chicago, the DuPage County Forest Preserve, the Chicago Housing Authority, and China International Futures Company of America. Mr. Senak has lectured on the subjects of extra-contractual liability of insurance companies, allocation of subrogation recoveries, and replacement-cost coverage under first-party property insurance policies. He also authored a chapter on investigation of claims from the insurer’s perspective for the Illinois Institute for Continuing Legal Education’s practice guide on Property Insurance. While a partner at Salvi, Schostok & Pritchard, P.C., Mr. Senak directed the trial team that obtained the largest recovery by verdict or settlement in the firm’s history. Mark has been named by Illinois Super Lawyers Magazine as one of the top commercial litigation attorneys in Illinois. Mr. Senak resides in Glen Ellyn, Illinois, with his wife, Laura, and their three children: Alex, Nicholas, and William. He is an active volunteer for DuPage Pads, a past President of the St. Petronille Parish Counsel, and is currently a Trustee for the Village of Glen Ellyn. Illinois; U.S. District Court, Northern, Central, Southern Districts of Illinois; U.S. District Court, Western District of Michigan; U.S. District Court, Northern District of Indiana.